Bainbridge Township is truly a national jewel in the Chagrin Valley. Bainbridge contains charming subdivisions, parks, and working farms. The great feature of Bainbridge is that it boasts easy access to the Cleveland metropolitan area, yet retains a semi-rural feel. It is also just an hour away from the Pennsylvania border with quick access to major highways in all directions. Home values in Bainbridge range from roughly $100,000-$1,000,000. The average sale price of a home in Bainbridge in 2008 was $320,893 with the average market time being 144 days. Bainbridge has housing consisting of condos and single-family and cluster homes. There are older homes and newer developments available as well. LAUREL SPRINGS – Homes in this development were built mainly in the mid to late 1990’s and range from $375,000-$500,000+. Laurel Springs in located off Route 306, South of Route 422. CANYON LAKES – Homes in Canyon Lakes were built in the 1990’s, and there is also a large number of new homes built within the last few years as well. Homes here range in price from $500,000-$850,000. Canyon Lakes is located off Chagrin Road, West of Route 306. WOODS OF WEMBLEY – Homes here were built within the last 10 years and range from $600,000-$1,000,000. All of the homes in this upscale development are on at least an acre of land. The Woods of Wembley is located off Route 306, between Bell and E. Washington. The Kenston Local School District covers the townships of Auburn and Bainbridge and enjoys a reputation for educational excellence. Over three thousand students attend the schools, all of which are located in Bainbridge. Kenston Schools earned an "Excellent" rating on the Ohio Department of Education 2007-2008 Local Report Card. 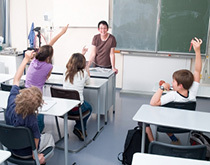 Kenston was one of only 71 school districts in Ohio to meet all 27 standards. There is some great shopping in and around the Bainbridge area. In town, there is Bainbridge Commons, Market Place at Four Corners, Market Square, McFarlands Corners, Tanglewood Square, and Washington Square. Nearby Solar Shopping Center and Uptown Solon Shopping in Solon offer great shopping as well. Mustard Seed Market and Café is a great place to go for natural and organic foods. Rick’s Café located down the street in the heart of Chagrin Falls, is known for it’s affordable menu and live music. Hunan By the Falls is rated by many publications as having the best Chinese food in the area. Bon Appetito located at 8535 Tanglewood Square constantly gets solid reviews. For those looking for a fine dining experience, there is an endless supply of fantastic culinary cuisine located in and around the Bainbridge area. To start, The Leopard Restaurant, located inside the luxurious Bertram Inn in nearby Aurora offers an award-winning menu and has won 5 consecutive 4-Diamond awards. Blue Canyon in Twinsburg offers a fine dining experience in a unique atmosphere inside and is one of the most popular places to dine in the summer as the outdoor patio and bar area is packed on most weekend evenings. There is always plenty to do in and around the Bainbridge area all year round. For those who love golf, two popular area courses are Valley Vista Golf Club and Tanglewood County Club. 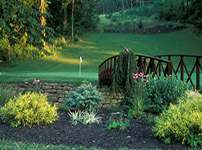 Chagrin Valley Athletic Club offers many amenities and a country club atmosphere. The Wembley Club is a private club located on 10 acres just minutes from downtown Chagrin Falls, Wembley offers year-round tennis, swimming, fitness and dining facilities. The Golf Dome, located in neighboring Chagrin Falls, offers an indoor driving range that is open year round. They also have outdoor batting cages, miniature golf and offer summer camps. Located next door to the Golf Dome is Chagrin Cinemas, with 14 screens. Bainbridge is also a great place for nature lovers with several nearby parks such as Centerville Mills Park, River Road Park, and Settlers Park. 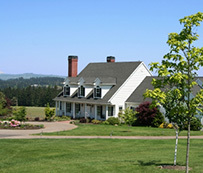 Punderson State Park and Punderson Resort Lodge are located in nearby Newbury and offer a plethora of year-round activities including: a championship 18 hole golf course, 14 miles of hiking trails, boating, fishing, picnicking, playgrounds, volleyball, tennis court, basketball court, camping and cottages. Punderson State Park is Ohio's premier winter sports park, with sledding, snowmobiling and cross country skiing galore. Bainbridge Township, or Bainbridge as locals now call it, was established in 1917 and is located 25 miles east of downtown Cleveland. It is situated in the Southwestern corner of Geauga County. The great feature of Bainbridge is that it boasts easy access to the Cleveland metropolitan area, yet retains a semi-rural feel. It is also just an hour away from the Pennsylvania border with quick access to major highways in all directions. Bainbridge Township is truly a national jewel in the Chagrin Valley covering almost 26 square miles. Bainbridge contains charming subdivisions, parks, and working farms. The population of Bainbridge is approximately 11,000. One of the first housing subdivisions in the township came in 1922 with the start of Lake Lucerne. A land company bought 250 acres and created a 25-acre lake. It was built as a summer-home colony, but from 1928 on, it became a year-round community. Other subdivisions followed and in the mid-1960’s, Tanglewood Shopping Center was built and the township began the contemporary growth to the community we know today. Lake Lucerne is still one of the most desirable communities in Bainbridge.